We send occasional emails to let you know about interesting features, sales, and ways to improve your signature to make it more effective. 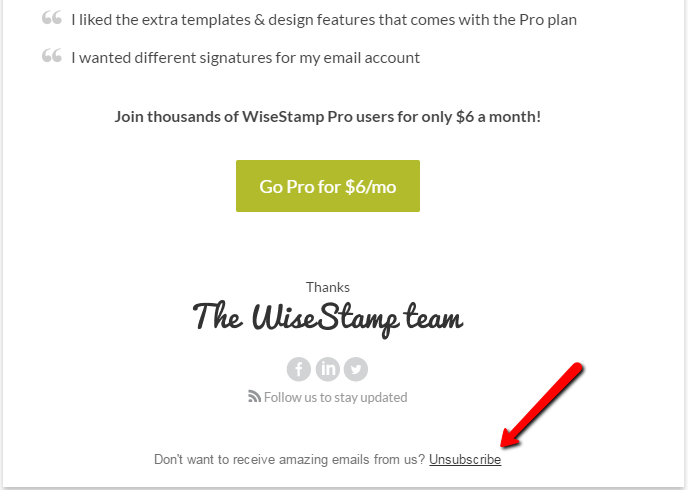 However, if you still wish to unsubscribe, at the bottom of all emails you’ll see an “unsubscribe” button. Click, confirm, and you’ll no longer receive our emails.